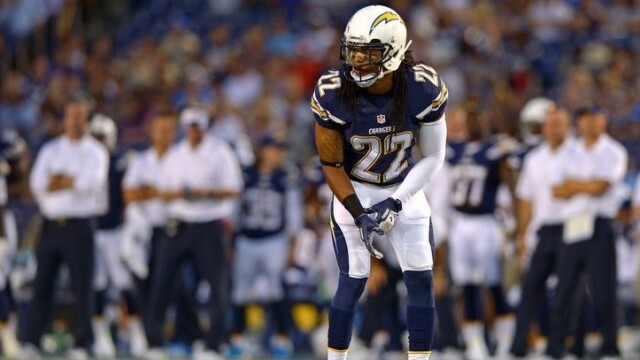 In a season without a lot of highlights, San Diego Chargers second-year cornerback Jason Verrett provided one when it was announced Tuesday that he was a first alternate for this year’s Pro Bowl. If one of the eight cornerbacks selected to the game drops out, which is highly likely, he will get a chance to play in the all-star showcase. Verrett, 24, missed most of last season with a shoulder injury, but has been a mainstay in the defense this year, playing all games but one. He was the team’s first round selection in the 2014 NFL Draft with the No. 25 overall pick. His three interceptions lead the team and is the only player to return an interception for a touchdown on the team. The cornerbacks selected to the game were Malcolm Butler, Chris Harris, Josh Norman, Marcus Peters, Patrick Peterson, Darrelle Revis, Richard Sherman and Aqib Talib. If any of the players’ teams makes the Super Bowl, or they just simply don’t accept the invitation, Verrett will have the chance to play in his first Pro Bowl. Quarterback Philip Rivers and special teamer Darrell Stuckey were both named fourth alternates for the game. Stuckey attended the Pro Bowl last year as an alternate while safety Eric Weddle was the team’s only player voted onto the team. Stuckey has long been regarded as one of the best special teams players in the game, both on kickoff and punt coverage duties. Rivers is currently second in the NFL in passing yards with 4,287 behind only Tom Brady and was on pace to break the NFL’s single-season passing yards record before injuries to his wide receiver corps. For the second time in three seasons the Chargers did not have a player voted onto the team.